In a new study published in the ‘Immunity” journal, researchers claim that mastication, or chewing food, can boost your immune system by increasing the secretion of T helper 17 (Th17) cells in the mouth. The T helper 17 cells are a key component of the adaptive immune systems. They defend against potentially unsafe pathogens using specific antigens while tolerating beneficial bacteria that can help to improve your health. The researchers, led by Dr. Joanne Konkel of the UK-based University of Manchester, claimed that the TH17 cells are usually secreted in the gut and the skin in the presence of beneficial bacteria. However, they were not certain about how the helper cells were produced in the mouth. 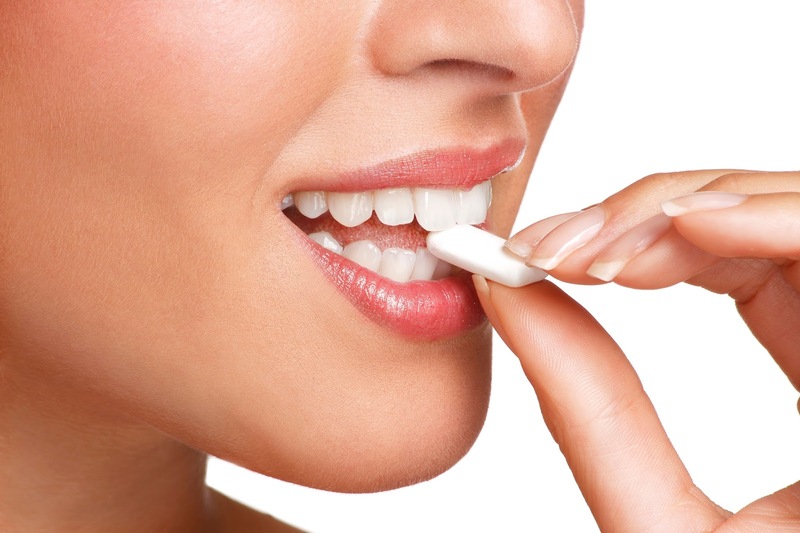 How chewing improves your immune system. In order to identify the relation between chewing and the release of TH17 cells in the mouth, the researchers first made the assumption that the mechanical forces involved during mastication result in damage in the mouth. So, the study sought to find out the connection between the physiological abrasion and oral Th17 cell release. Some mice were weaned off with soft-textured foods that required minimal chewing until the age of 24 weeks, at which point the release of oral Th17 cells was measured. The researchers found a considerable reduction in the amount of oral Th17 cells produced in this group of mice compared to those weaned on hard-textured foods. This difference was attributed to the reduction in physiological damage attributed to mastication. To emphasize this point, the researchers found that rubbing the oral cavity of the rodents with a sterile cotton applicator – to increase physiological damage in the mouth – resulted in a subsequent increase in the release of oral Th17 cells. Mastication is beneficial in moderation. The researchers concluded that chewing food induces a protective immune system that protects you from illness. But while increased mastication and physiological damage increases the release of oral Th17 cells and a subsequent immunity boost, the excessive production of these cells may also prove to be detrimental by increasing the risk of gum disease and periodontitis, which in turn contribute to serious health conditions including heart disease, diabetes, and arthritis. According to the researchers, physiological damage caused by chewing is only beneficial to a certain point, after which it begins to aggravate the effects of periodontal disease. This finding was observed after weaning another group of mice with hardened food pellets until the age of 24 weeks. These rodents were observed to have more mastication-induced damage and more periodontal bone loss compared to the mice weaned on soft-textured foods. The researchers believe that this study could lead to the discovery of new ways to combat different illnesses, though more research should be done to understand the tissue-specific factors that control immunity at the mouth level without risking oral inflammation, which contributes to other health issues. Are Systemic Disease Linked to Oral Health? Specializing in Cosmetic Dentistry, Laser Dentistry, and Implant Dentistry in Newport Beach, CA.